Omg! I want the one that says This SHIRT JUST GOT 20 P3RC3NT COOL3R. 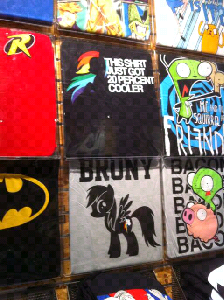 They only have Dashie shirts? I wanted somepony else...This'll do though!